Following its Company Page redesign, LinkedIn has introduced a new feature aimed at building your personal connections. Through Endorsements, the social network has made it easier for you to recognize employees and colleagues for their skills and expertise. Now, you can endorse your connections for a skill listed on their profile, or recommend one they haven’t added yet. For example, if you worked with a web designer for your site’s redesign, you can throw an endorsement their way for programming and project management. Endorsements work both ways. 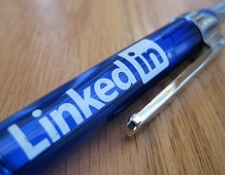 LinkedIn will notify you by email and on the site whenever someone has endorsed you. You can also scroll to the bottom of your profile to see who’s endorsed you under “Skills and Expertise.” If someone has suggested a new skill that you didn’t previously mention, you’ll have an opportunity to review it before it appears on your profile. Although simple — Endorsements require just one click compared to the lengthier Recommendations — this extra vote of confidence from your colleagues and customers can go a long way. But while it’s great to be recognized, be sure to give credit where credit is due. LinkedIn is rolling out this feature across the U.S., India, New Zealand, and Australia starting today. It will continue the rollout in all languages to all members over the next few weeks.